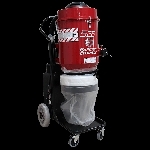 Use the Cimex machine to easily grind, Hone and polish any natural stone or concrete. We offer 2 different pad configurations for rent as well. All diamonds are available for purchase with the rental. 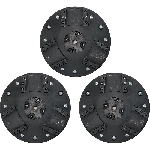 The Fast Change Plates allow you to quickly and easily change diamonds between different grits. Simply knock out the triangular diamonds and install new ones. Diamonds that fit the Fast Change Plates are available for sale in different grits. 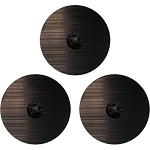 The Velcro pad drivers allow you to customize how many diamond pucks you want o use for your project. Generally the pads are used with 2-3 pads per pad driver. The rental includes 3 pad drivers that easily attach to the bottom of the machine. All diamonds are available for purchase in-store in many different styles and grits. 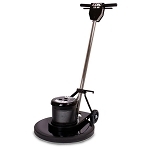 Designed for professional floor care maintenance, the Saturn dual speed floor machines from EDIC are equipped with long-wearing steel triple planetary gearboxes, providing heavy duty yet quiet operation. As a business owner, it is important for you to protect your workers from this major occupational health hazard and begin establishing legal groundwork that will prevent future lawsuits. The first step is to stop your employees from using shop-style vacuums purchased from local home improvement stores and begin using professional HEPA Dust Extractors manufactured by Ermator. Unlike low cost homeowner vacuums, Ermator HEPA Dust Extractors are equipped with tested and certified HEPA filters that trap the smallest, most dangerous-to-breath dust particles and prevents them from being released in the air. A HEPA Dust Extractor not only exhausts perfectly clean air, it is far more efficient for the fast recovery of bulk dry dust, debris and other building materials found on every Construction, Abatement and Restoration job site. 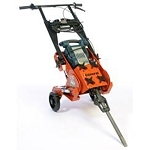 They can also be connected to electrical power tools to extract the freshly cut and friable concrete dust, considered to be the most hazardous to construction workers. If you need to have more weight in order to be able to strip more aggressively or need weight to be able to have more grinding pressure, this is your solution! Welded, unitized frame. 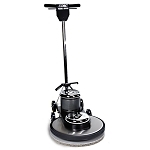 Single rotating multi-accessory discs with elastomeric-type gimbal heads; twin V-belt and spur gear reduction system; adjustable operator handle and wheel heights; 3 inch diameter dust collection attachment port. Includes safety and dust shield assembly kit. The STI propane burnisher was developed to ensure maximum speed while delivering superior results in substrate polishing. The powerful Kawasaki 18 HP 603cc engine has lower torque and is controlled through a variable speed drive. The EnviroGard emissions monitoring system and catalytic mufflers lower CO, HC, and NOx emissions. Higher RPM burnishing speeds deliver superior wet look shine. Super-efficient high-speed burnishers. 17 and 20 available with 1500 or 2000 RPM models with a stainless-steel or black powder coated brush covers and fold-down handle on the 17 model. 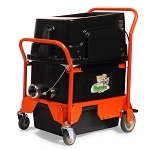 Portable grinding planetary machine to polish counter tops and stairs. 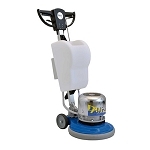 UFO is a manual planetary polisher for grinding and polishing counter tops, stairs, edges and narrow areas. Thanks to its powerful motor and to the counter-rotating planetary it is possible to grind. All Diamond pucks are available for purchase in-store. Grinding and polishing machine for borders, small spaces and stairs. 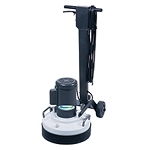 Minielle is the ideal solution for grinding and polishing stairs, small bathrooms, borders, corners and narrow areas where normal floor grinding machines cannot work. The multidirectional wheels, with adjustable height, allow to easily adjust it to any stair. Kroma has been designed for heavy duty applications. With an innovative 4 HP motor it is the most powerful mono-rotary cleaning machine in the world. The FCS10 RIP-R-STRIPPER® is a highly productive solution for removing a wide range of floor covering materials found on both commercial and DIY projects. Its small size and light weight design makes it highly productive in hard to reach areas such as bathrooms, closets and foyers. The detachable operator handle allows for easy transport in today s smaller vehicles. Enhanced operator ergonomics and precise balance allow the FCS10 to work circles around larger stripper machines that lack the same agility and maneuverability. A wide range of straight and scoring type blades up to 10 inch cutting width are available for use on wood and concrete surfaces. 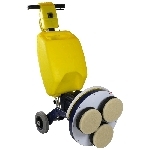 Take the work out of removing VCT tiles, rubber-backed carpeting and sheet type coverings from concrete surfaces using the self-propelled feature. Remove up to 720 square feet per hour with direct-drive, random orbit action. Change direction easily with intuitive forward and reverse controls. Stop the unit instantly with the built-in, easy to use emergency stop button. For increased operational safety. Operator handle and two 50 lb external weight side plates are easily removed for compact transport. Unit includes self-contained maintenance tool storage and 1 each, part number FCS18-2000, 2 x 10 straight blade (6 cutting edge) and 1 each, part number FCS18-2100, 2 x 11 straight blade. The new CTS12 Gen 2 RIP-R-STRIPPER® is highly productive for removing ceramic tile, hardwood flooring and other materials from cement surfaces. Breaks through today s high bond strength mastics, glues and thinsets for both commercial and DIY projects. The unit accepts a wide range of 35 lb class breakers and related accessory tools. Unique design significantly reduces jobsite related exposure to knee and lower back issues no more stooping, squatting or kneeling. Wide stance for superior handling and stability. Highly adjustable to fit operator and application. Accessory tool leveling to reduce blow force requirements, operator fatigue and uneven tool wear while increasing productivity. 17 Surface Prep Tool w/Dual Position Blade Holders The floor surface preparation tool is an environmentally safe and productive tool for scraping concrete floors. The SP-17 was designed for scraping hard surface deposits including epoxy, fiberglass, glues, grout, ice, packed soils, paint and a variety of build-up on concrete surfaces. It is recommended to rotate cutter blades in a synchronized pattern to optimize cutter life and maximize production. Copyright Cleaners Warehouse. All Rights Reserved.